Yes, I’m still here. Just busy. I’ll be back soon. 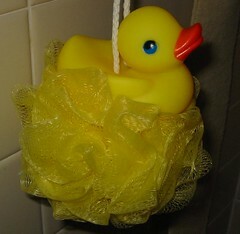 In the meantime, enjoy my rubber duckie – he makes bathtime fun! Haaaaaaappy easter to you, too! He does not vibrate. He squeaks though.